items at the warehouse in a clean and orderly fashion and ensures protection of valuable and fragile items. Prepares and sorts out household furniture sets for newcomers. Prepares and sets up items for functions to support mission agencies. Distributes work orders on a daily basis among staff, ensuring assigned work is successfully completed. Monitors myService requests, Ariba requests, and intervenes if necessary. Acts as rater for annual performance reviews, assessing warehouse staff’s skills and noting areas in which to improve. Prepares the training plan for the warehouse personnel for clearance by the PMU Supervisor and approval by the GSO officer. Ensures the organization chart is current and recommends any additional requirement to the PMU Supervisor. Provides support, guidance, and on-the-job training to all property management personnel. Conducts classes on safety and property management. The incumbent will be responsible for the day laborers contracts. Maintains surveillance of the maintenance and security conditions of the warehouse (leakage, broken door, fire protection, key control, and other safety practices) in order to preserve and prevent theft and damages. Responsible for inventory management, including receipt, transfer, issuance, and disposal of all property. Accountable for storage of records and files pertaining to property management. Monitors ILMS dashboards for errors and suggests solutions to overcome problems. Advises Accountable Property Officer of problems and solutions. Initials all documents before these are sent to the Accountable Property Officer. Is able to create ILMS reports as necessary. Manages staff that provides logistical support to a variety of activities including VIP visits, conferences, official ceremonies, community and representational events, APO and diplomatic courier deliveries and pickups. Is the warehouse POC for VIP countdown meetings for VIP visits by gathering information to assign to the respective units. Five years progressively responsible experience in logistics management, including one year of supervisory experience in a customer service environment is required. – Two years of College studies is required. – Valid driver’s license (categories B, D, or E) is required. U.S. Mission in Dar es Salaam offers a compensation package that may include health, separation, and other benefits. 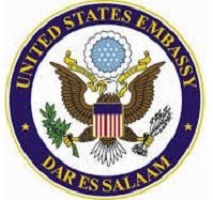 The U.S. Mission in Dar es Salaam offers compensation package that may include health, separation, and other benefits. Applicants who are invited to take a language or skills test will be contacted via email.